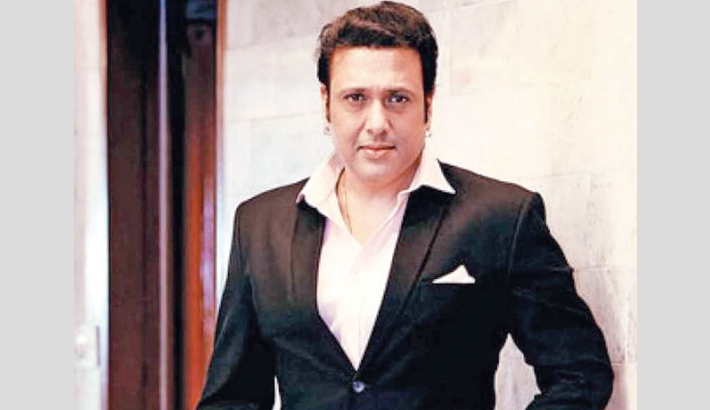 Actor Govinda says the environment in the film industry is not good. The actor said he is disappointed about the Central Board of Film Certification’s (CBFC) opposition to his forthcoming film Rangeela Raja, reports Mid-day. The censor board has suggested 20 cuts in Rangeela Raja for its theatrical release. To oppose the CBFC’s decision, producer Pahlaj Nihalani had filed a petition earlier this month saying the suggestions were unjustified and uncalled for as he firmly believed that the film was not vulgar in any manner. He also hit out at the present CBFC head Prasoon Joshi, accusing him of being “politically motivated”. Govinda said this kind of environment is not good for the film industry. “I don’t see any controversial scenes which are there in the film. I think it has been deliberately done to stop release of the film and it’s not a good environment in the film industry to release the film. I have started my film career with Pahlaj Nihalani’s film, so I hope this film releases without any difficulties,” he added. Earlier, at a press conference, Govinda said that since the last few years some people are deliberately opposing his films’ release by not giving enough screen space and now CBFC has stopped the release of his upcoming film. Do these things hurt him? “It doesn’t hurt me as a person because in the initial period of my career, I haven’t seen such kind of treatment to my films but now people from politics are entering into film business and people from film industry are entering into politics, so that could be the reason that such kind of things are happening in the film industry.